I’m desperate! An apartment building that adjoins our property keeps a garbage bin right next to our property. Every few days it overflows, and trash is thrown next to the dumpster by residents even when it is not full- I’ve even seen them throw it down (and miss) from the fourth story window! This has been going on for many months and I’ve contacted the management company multiple times, suggesting that they take measures to control the rats (I’ve seen them climbing out of the dumpster!) and the amount of garbage and overflow: more frequent pick ups, add an extra dumpster, etc. 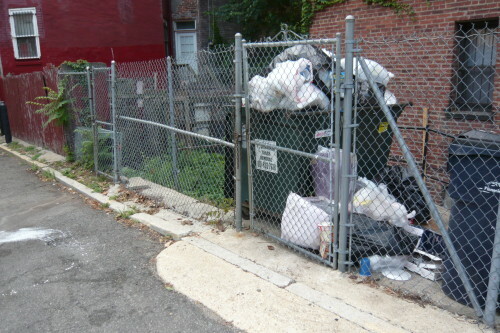 The dumpster is located on private property near Logan Circle. I have documented the overflows with pictures- probably more than 20 over the past year (some of which I have sent to the management company). I’m at my whits end! Who in the city government (or elsewhere) can help?